Canberra, Oct 27 (IANS) A court on Friday ruled that Australian Deputy Prime Minister Barnaby Joyce and four other politicians were wrongly elected because they held dual citizenship, the media reported. The High Court of Australia’s ruling means Joyce, Nationals leader Fiona Nash and One Nation’s Malcolm Roberts were disqualified from office, reports the BBC. The Greens Larissa Waters and Scott Ludlam had already resigned from the Senate in July. Joyce is an Australian who also held New Zealand nationality when elected, a citizenship he later renounced. The ruling also means the ruling National Party loses its majority in the House. Section 44 of the country’s constitution stipulates that every legislator must have Australian nationality only, reports Efe news. Australia will hold a by-election to replace Joyce, while in the Senate the seats will be assigned to other people in the parties. Joyce, who had said he was not aware of his second citizenship, apologized to his voters in statements to the press and said that he would participate in the by-election, after giving up his New Zealand passport in August. “I had no reason to believe I was a citizen of any other country but Australia,” said the former Deputy Prime Minister, noting that he “respects the verdict” and the “marvellous democracy, with all the checks and balances” of Australia. 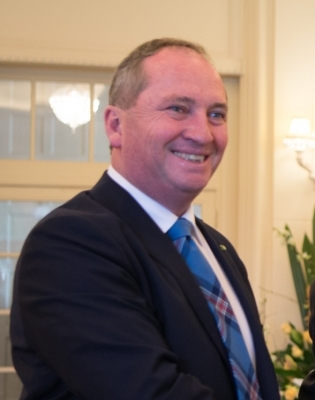 Joyce, like his mother, was born in Tamworth, New South Wales. However, the politician’s father was born in New Zealand and immigrated to Australia in 1947 as a British citizen, one year before the concept of Australian citizenship was established. Because of his paternal origin, the politician inherited New Zealand citizenship. As a result of the ruling, Prime Minister Malcolm Turnbull’s government will have to negotiate with the three independent parliamentarians to retain its majority in the Lower House, at least until the by-election which is expected to be held next year. Bill Shorten, leader of the main opposition Labor Party, called for Turnbull’s resignation for his “terrible judgment”. “Joyce broke the law and as a result, we now have a minority government,” Shorten tweeted.